The struggle to keep drinks cold during the summer is a lesson in classical phase transitions. To study phase transitions, apply heat to a substance and watch how its properties change. Add heat to water and at the so-called "critical point," watch as it transforms into a gas (steam). Remove heat from water and watch it turn into a solid (ice). Now, imagine that you've cooled everything down to very low temperatures—so low that all thermal effects vanish. Welcome to the quantum realm, where pressure and magnetic fields cause new phases to emerge in a phenomenon called quantum phase transitions (QPT). More than a simple transition from one phase to another, QPT form completely new properties, such as superconductivity, in certain materials. "Quantum phase transitions may sound really exotic, but they are observed in many systems, from the center of stars to the nucleus of atoms, and from magnets to insulators," said Andrey Rogachev, associate professor at the U and senior author of the study. "By understanding quantum fluctuations in this simpler system, we can talk about every detail of the microscopic process and apply it to more complicated objects." Condensed matter physicists study what happens to materials with all of their heat removed in two ways—experimental physicists develop materials to test in a lab, while theoretical physicists develop mathematical equations to understand the physical behavior. This research tells the story of how the theory and experimental informed and motivated each other. As a postdoctoral fellow, Rogachev showed that applying magnetic fields to nanowires under low temperatures distorts superconductivity. He understood the effects at finite temperatures but came to no conclusion as to what happens at the "critical point" where superconductivity falters. His work, however, inspired the young theoretical physicist Adrian Del Maestro, a graduate student at Harvard at the time, to develop a complete critical theory of the quantum phase transition. In Del Maestro's "pair breaking" theory, single electrons are unlikely to bump into the edges of the smallest wire since even a single strand of atoms is large compared to the size of an electron. But, said Del Maestro, "two electrons that form the pairs responsible for superconductivity can be far apart and now the nanoscale size of the wire makes it more difficult for them to travel together." Then add in a powerful magnetic field, which disentangles pairs by curving their paths, and "the electrons are unable to conspire to form the superconducting state," said Del Maestro. 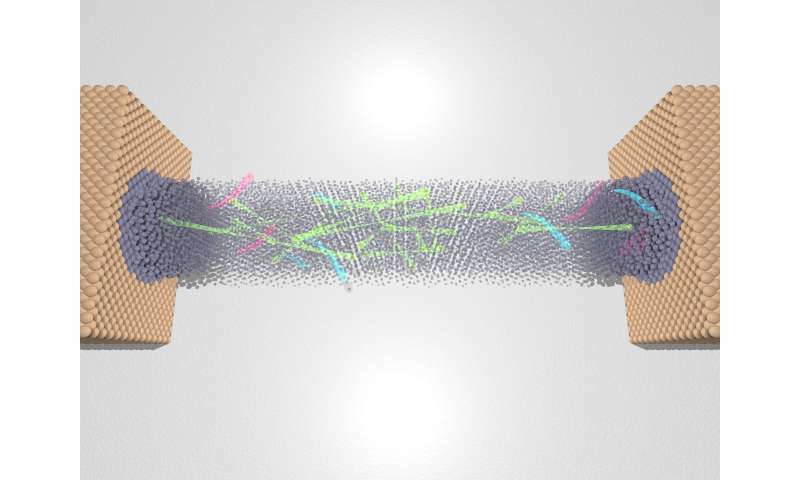 "Imagine that the edges of the wire and the magnetic field act like some frictional force that makes electrons not want to pair up as much," said Del Maestro. "That physics should be universal." Which is exactly what his theory and the new experiment show. "Only a few key ingredients—spatial dimension and existence of superconductivity—are essential when describing the emergent properties of electrons at quantum phase transitions," he said. The amazing agreement between the conductivity values Del Maestro's theory predicted over a decade ago and the values measured in the new experiment sets a powerful standard for "the experimental confirmation of quantum universality," Del Maestro said, "and underscores the importance of fundamental physics research." 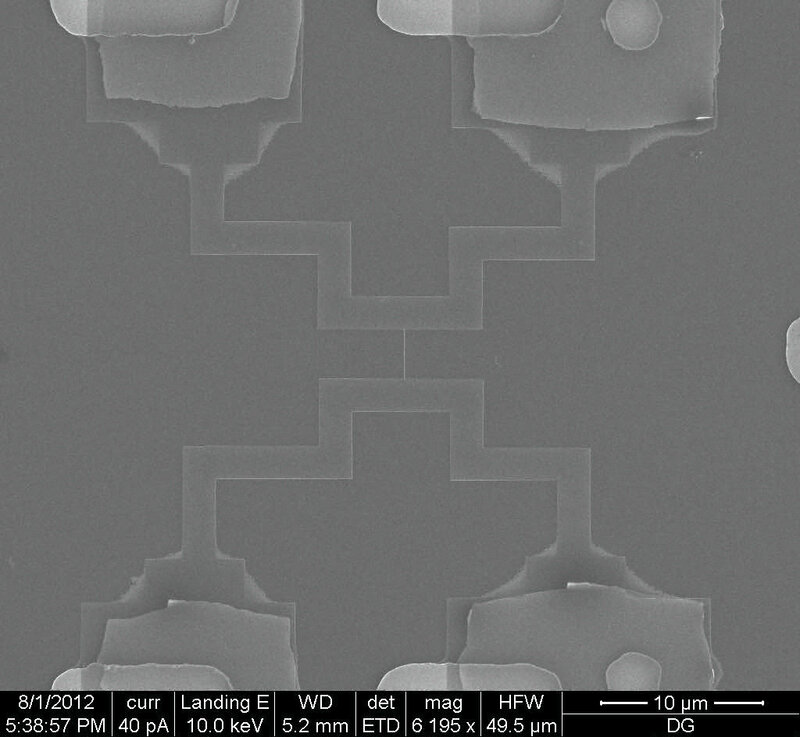 To test Del Maestro's theory, Rogachev needed nearly one-dimensional nanowires, with diameters smaller than 20-30 nanometers. "In theoretical physics, one-dimensional systems play a very special role, since for them an exact theory can be developed" said Rogachev. "Yet one-dimensional systems are notoriously difficult to deal with experimentally." "It's not just that we make them, but we can measure them," said Rogachev. "Many people make really small particles, but to really be able to look at transport on these wires, it was like developing a new technique." To test the quantum phase transitions, Rogachev brought the wires to Benjamin Sacépé and Frédéric Gay at the Institut Néel in Grenoble where their facility is capable of cooling the material to 50 milliKelvin, applying magnetic field of various strengths and measuring the wires' resistance to describe how the superconductivity breaks down. The French collaborators added to the group years of expertise in precise transport measurement, noise-rejection techniques and quantum physics of two-dimensional superconductors. 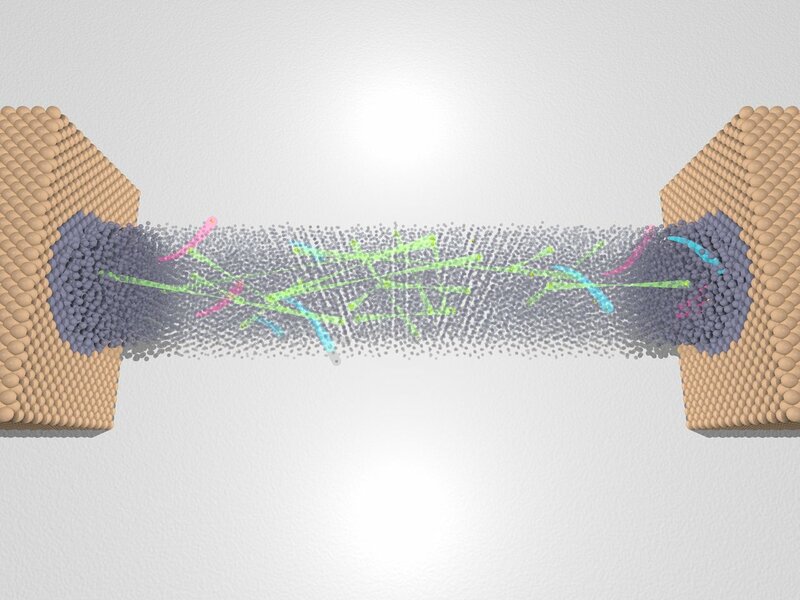 "After decades of intensive research, we are still far from fully understanding superconductivity" says Tomasz Durakiewicz, program director for condensed matter physics at the National Science Foundation, which co-funds this work. "These results significantly advance the field by closely linking the tangible, physical universe of nanowires and the field-driven phase transitions happening at the quantum scale. By merging theory and experiment, the team was able to explain the complex relationship between conductivity and geometry, magnetic fields and critical temperature, all while proposing a theory of quantum criticality that is in excellent agreement with experimental observations." 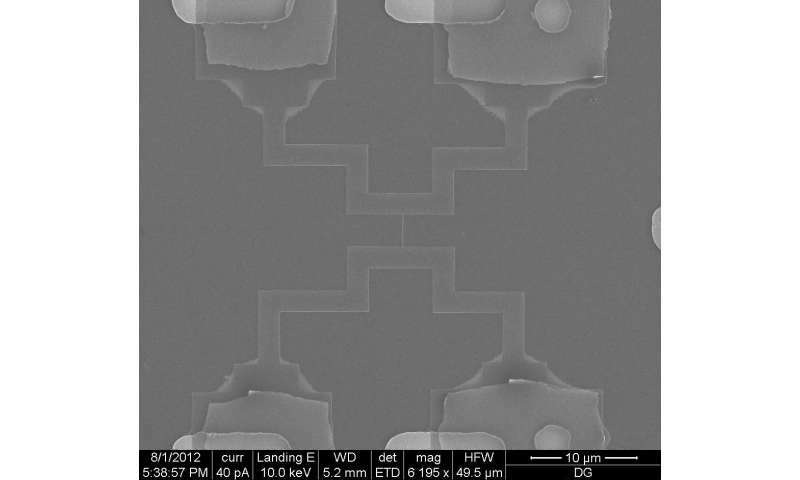 Rogachev is now preparing to test nanowires made of cuprates. 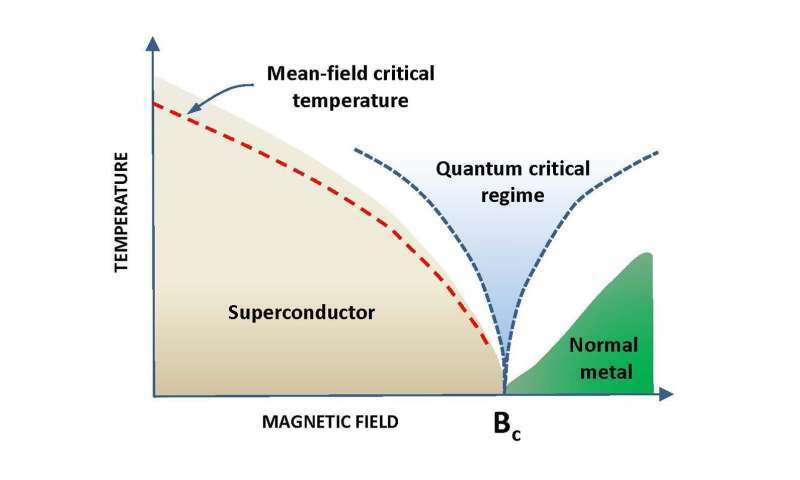 Cuprates have a quantum phase transition between a magnetic state and a normal state, At the critical point, there are quantum fluctuations that, according to several theories, promote the emergence of superconductivity. 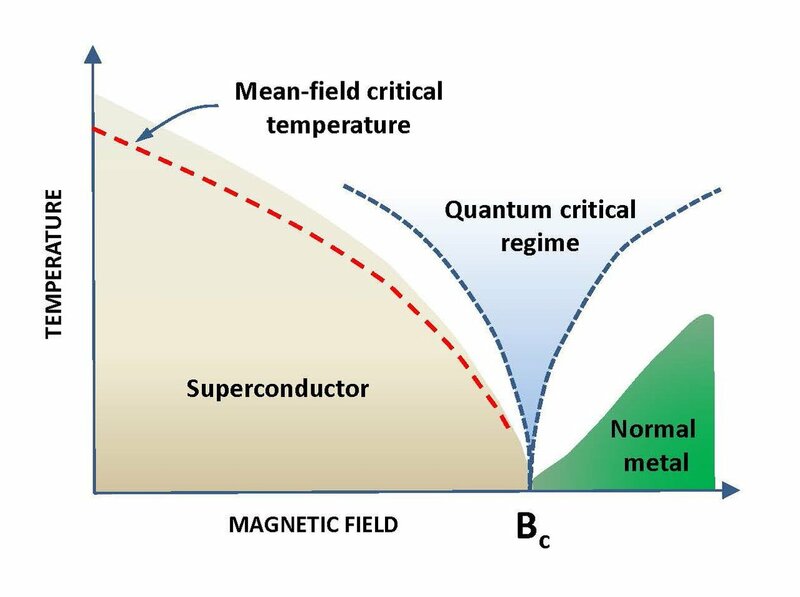 The cuprates are often called high-temperature superconductors because they go to the superconducting state at the record-high temperature of 90-155 K, a contrast to the rather small critical temperature of MoGe alloys at 3-7 K. Rogachev wants to make wires out of cuprates to understand the microscopic mechanism of high-temperature superconductivity. Another avenue he wants to explore with his collaborators in Grenoble is quantum phase transition in superconducting films. "Now we have this certain piece of physics worked out, we can move to more complicated objects where we basically don't know exactly what is going on," he said.